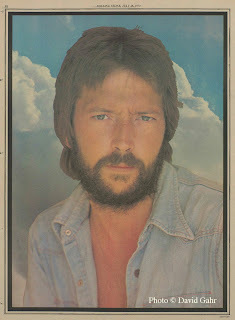 After 3 years of near seclusion, following the demise of Derek and the Dominos, Eric Clapton decided to release a solo album and tour the US. 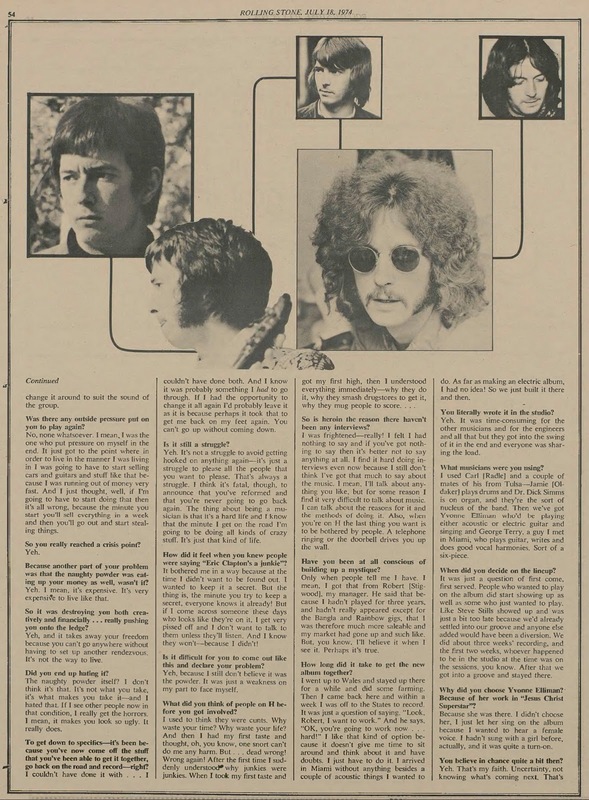 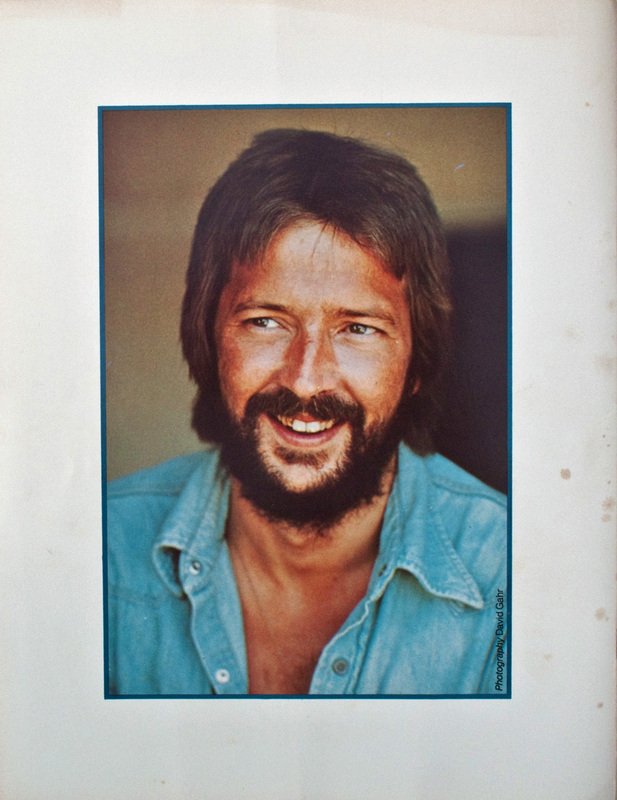 He put together a band, which included bass player, Carl Radle, from Derek and the Dominos. 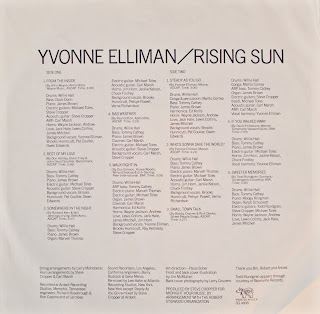 He added a back up singer, Yvonne Elliman, who had performed as Mary Magdalene in “Jesus Christ Superstar”, on album, film and stage. 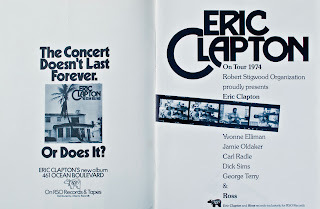 They recorded in Miami, Florida, and titled the album “461 Ocean Boulevard”, after the house they stayed at. 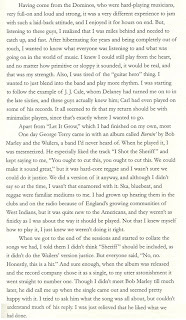 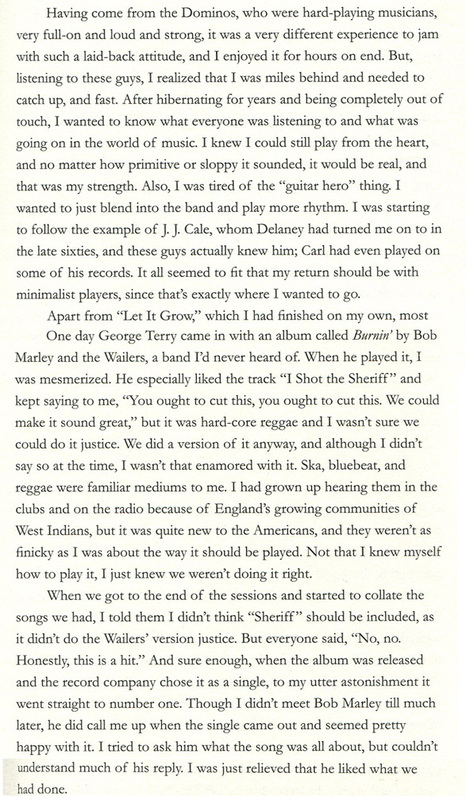 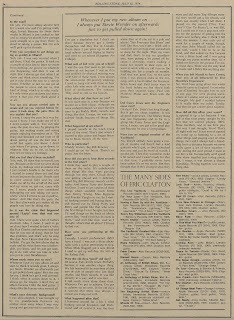 The song, “I Shot The Sheriff”, by Bob Marley and the Wailers, became Clapton’s first #1 solo hit. 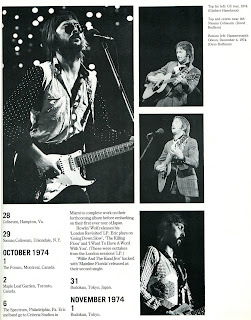 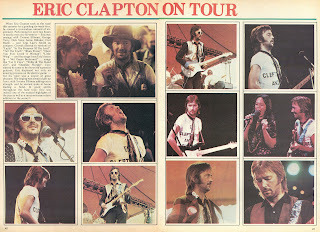 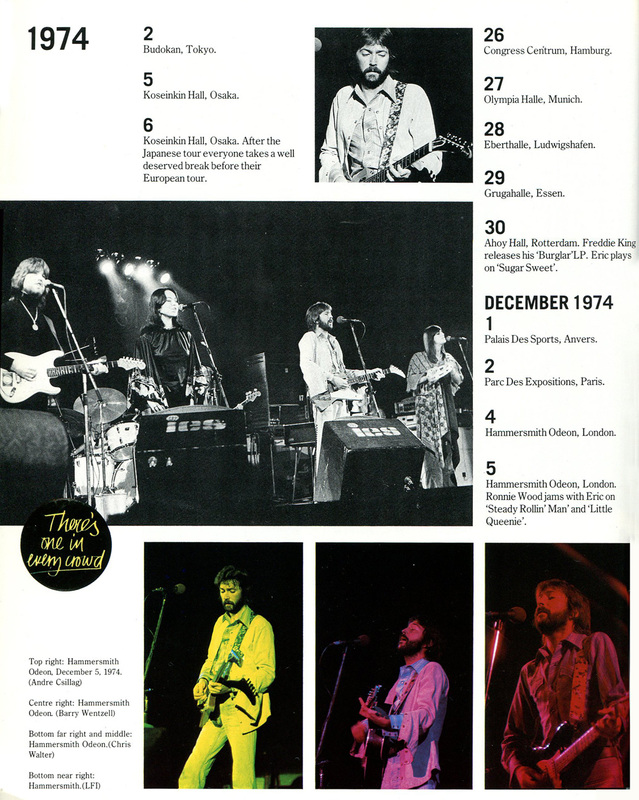 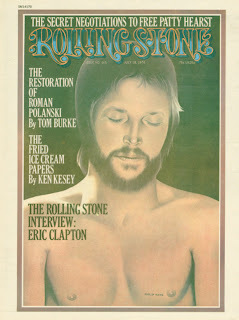 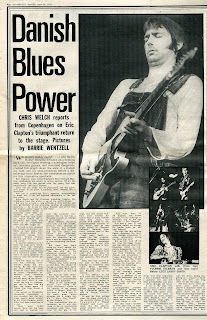 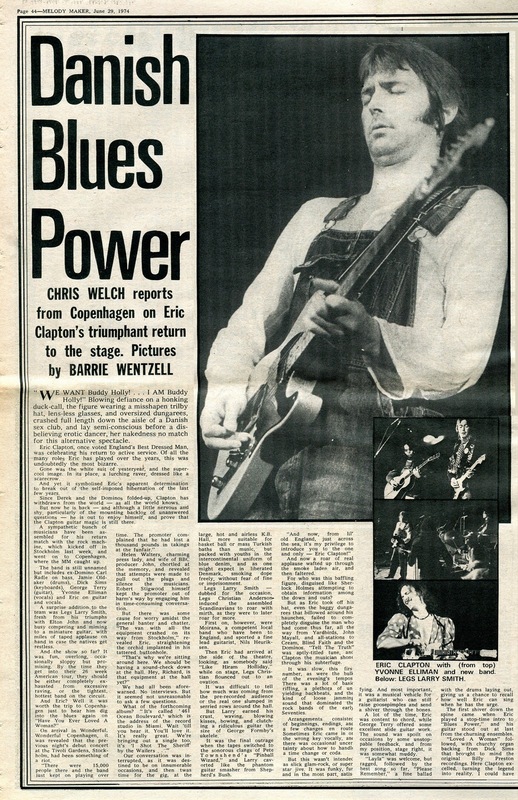 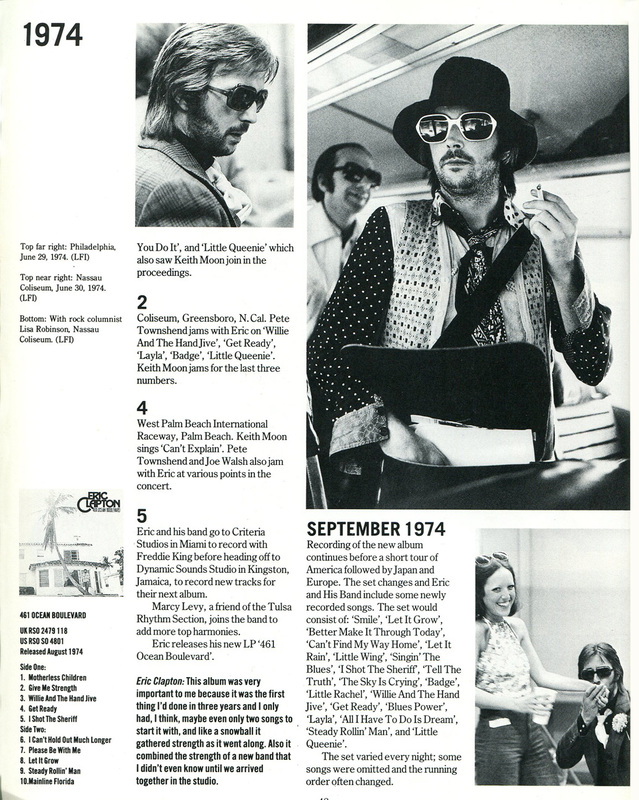 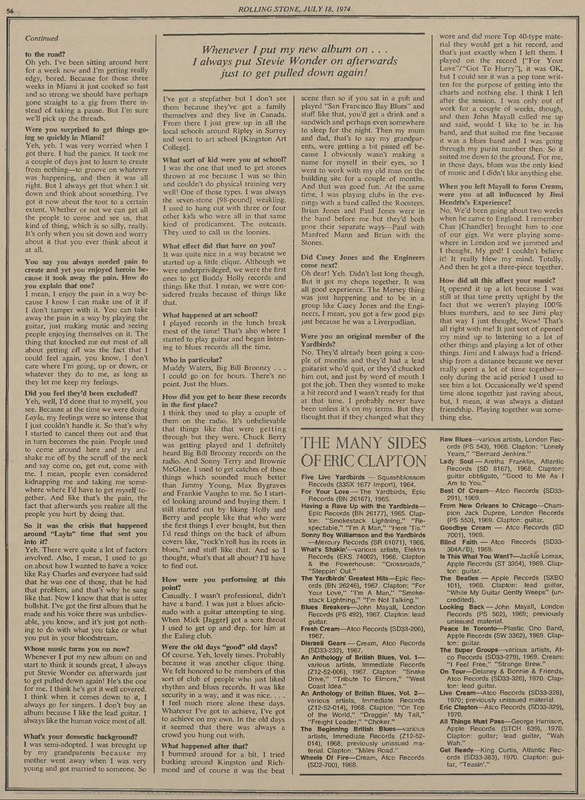 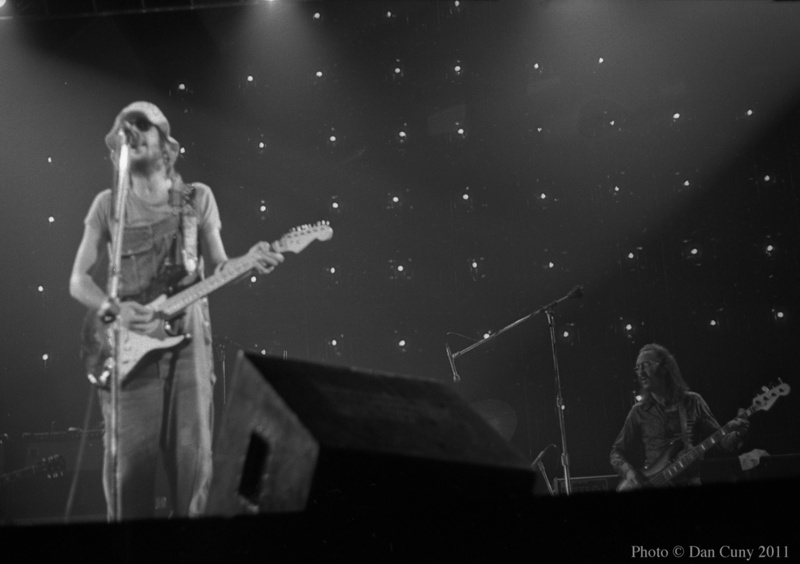 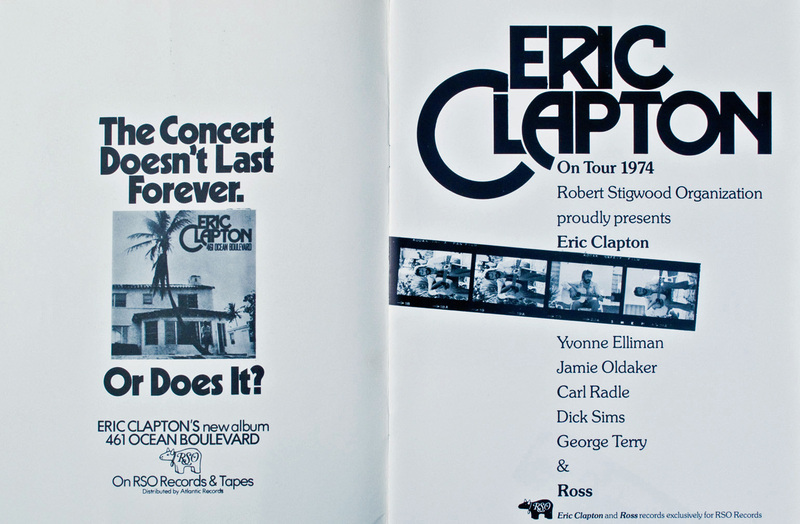 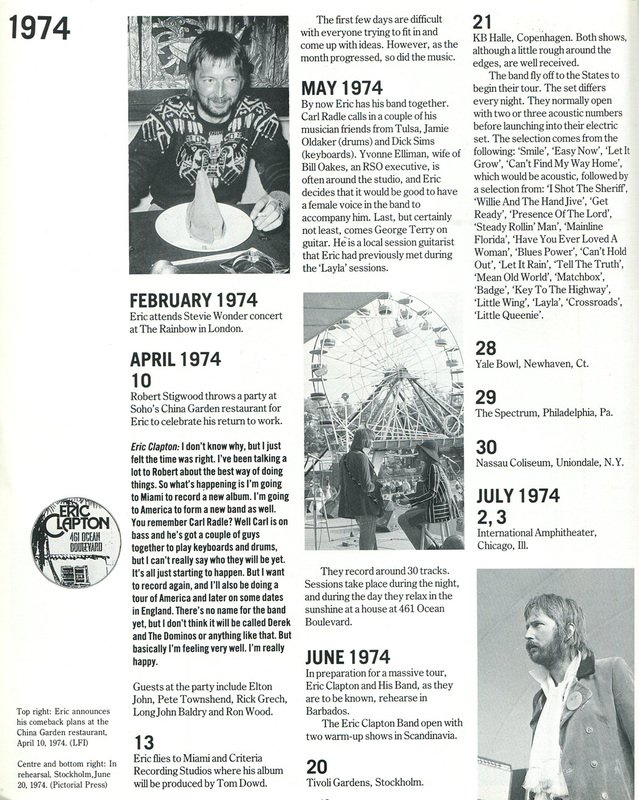 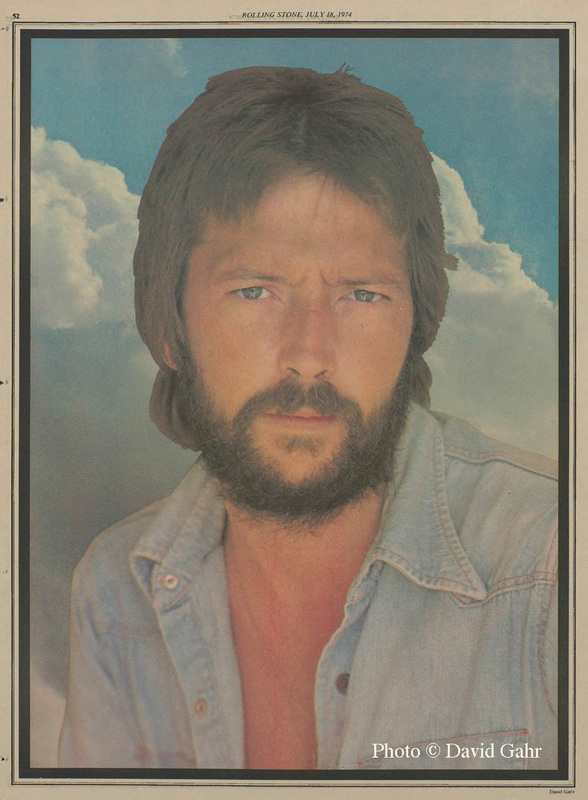 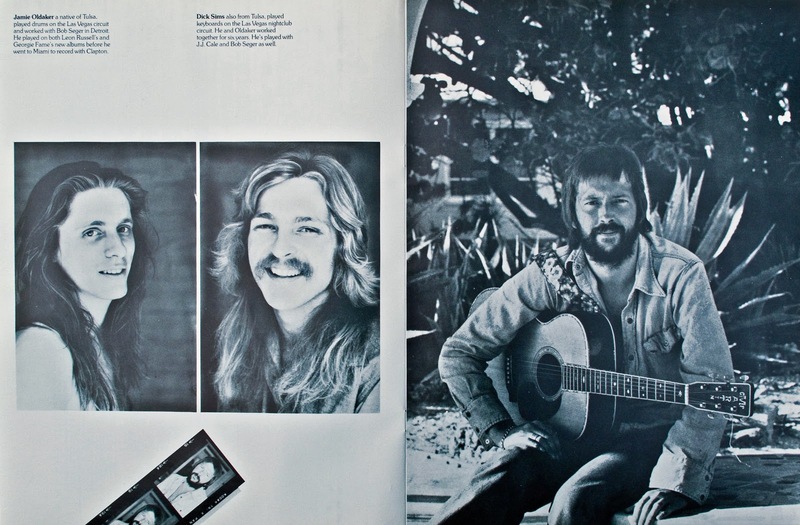 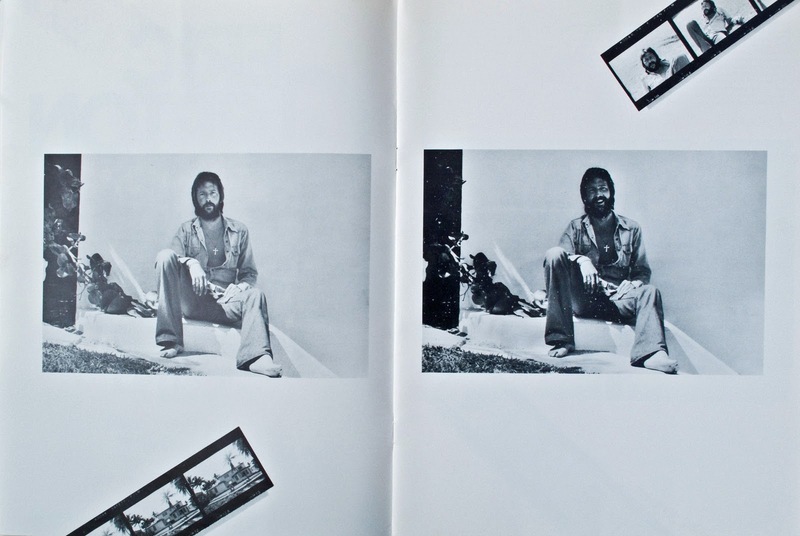 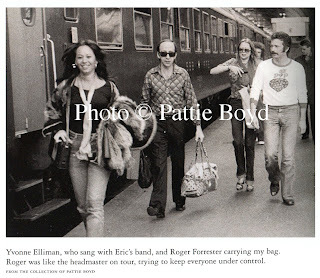 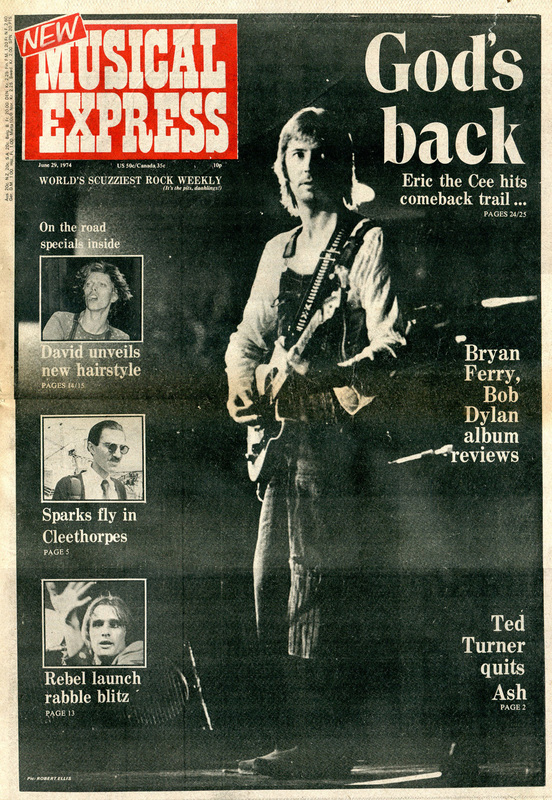 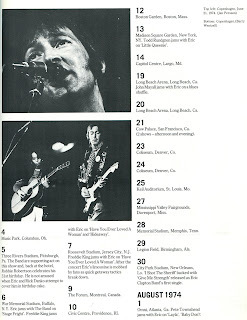 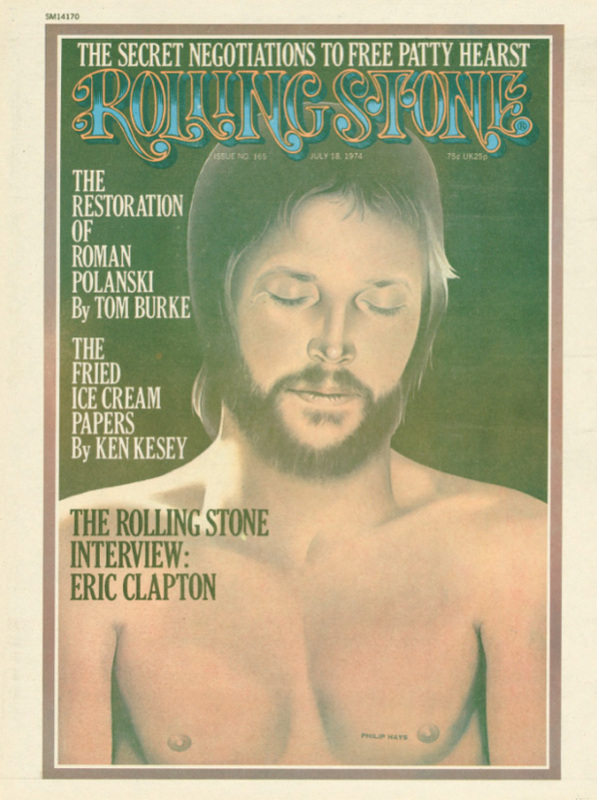 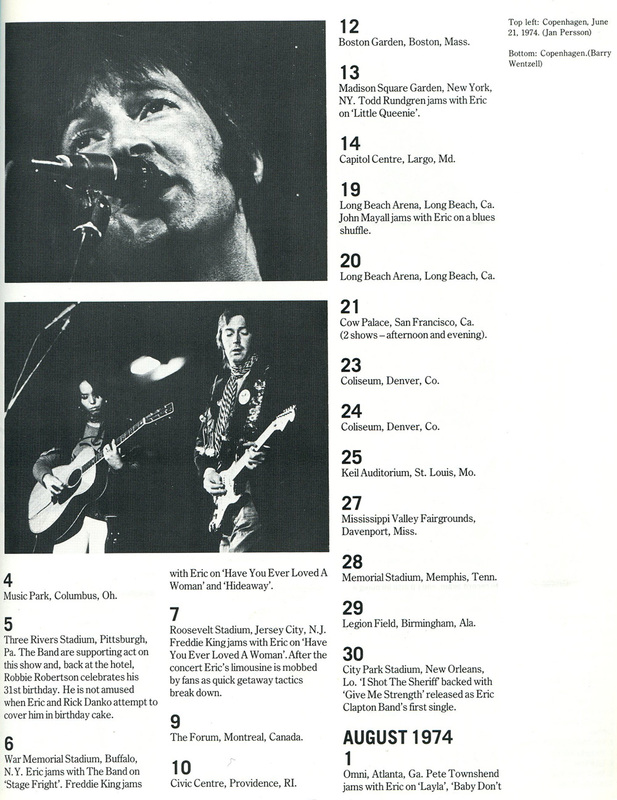 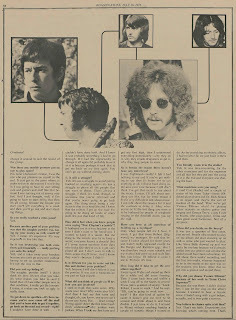 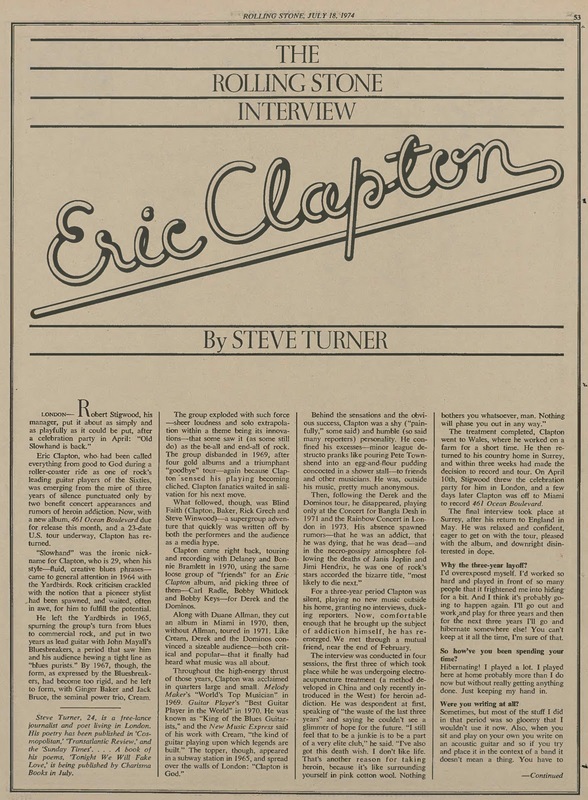 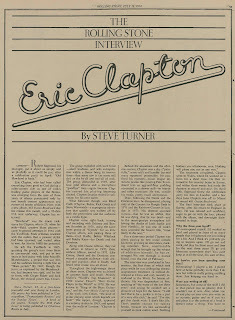 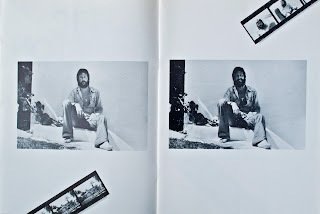 In June 1974, Eric Clapton and his band began their US tour. 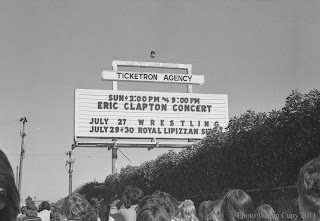 at The Cow Palace near San Francisco July 21, 1974.
the concert. 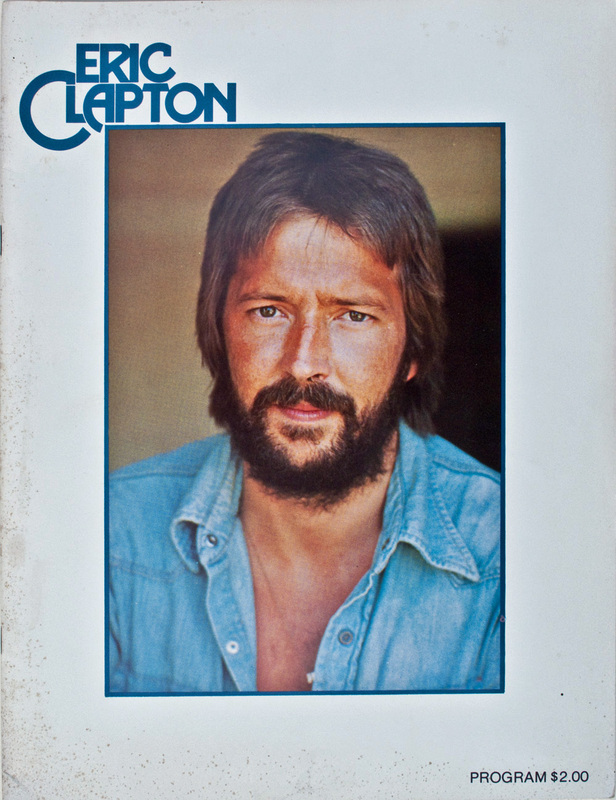 I bought it there for $2. 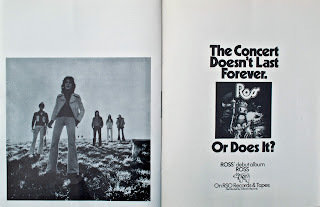 A Visual Documentary by Marc Roberty". 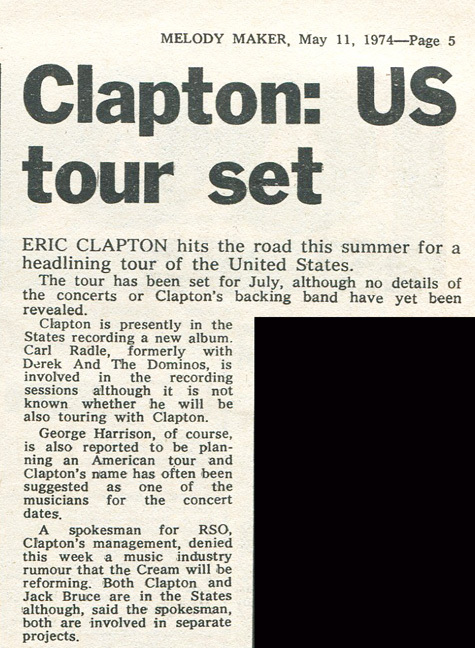 first announcement to the end of the tour. 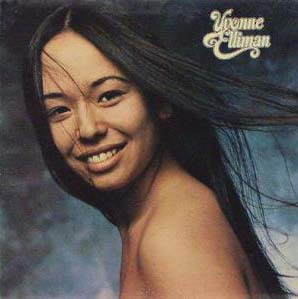 between him and Yvonne Elliman. 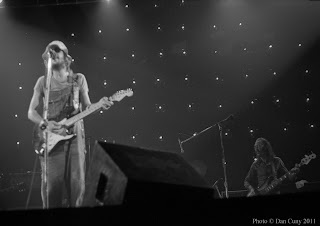 ©Copyright 2007 E.C. 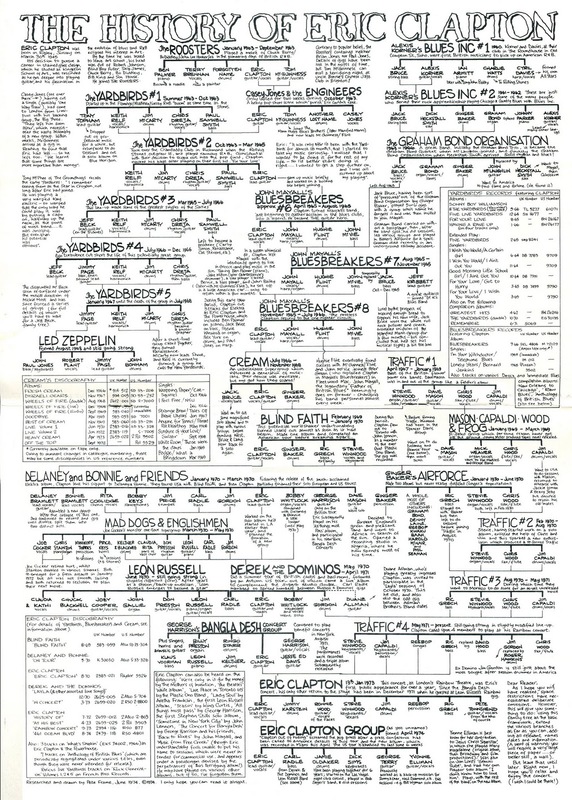 Music Limited. 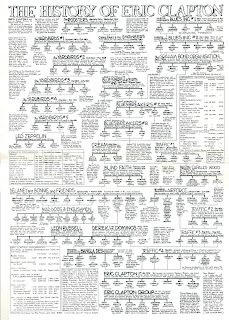 Tonight - George Harrison, Eric Clapton, and Me"
came to record "I Shot The Sheriff"
Family tree below is by Pete Frame. 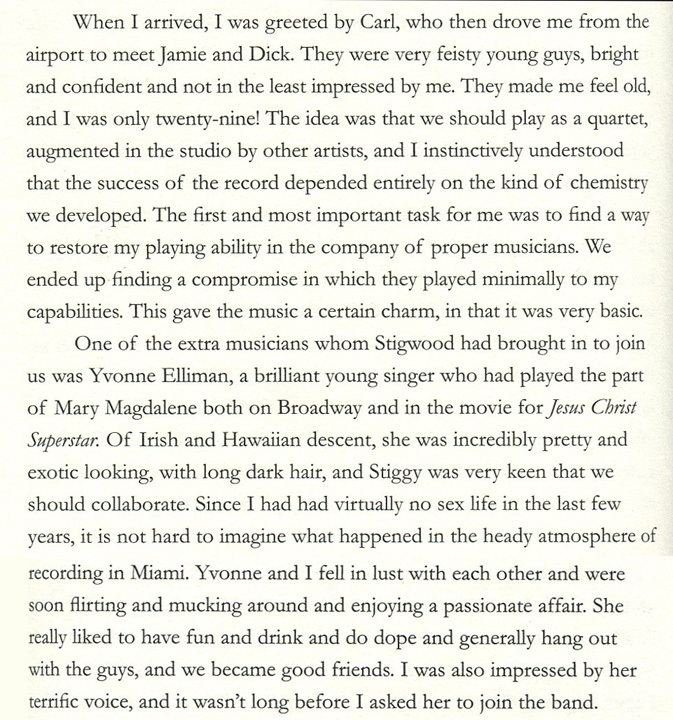 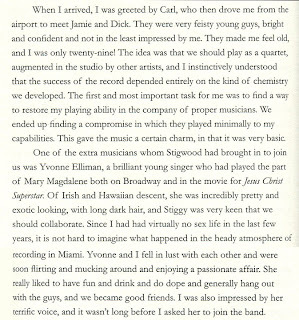 It is taken from the official program. 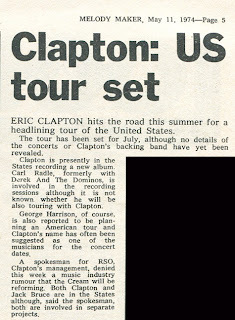 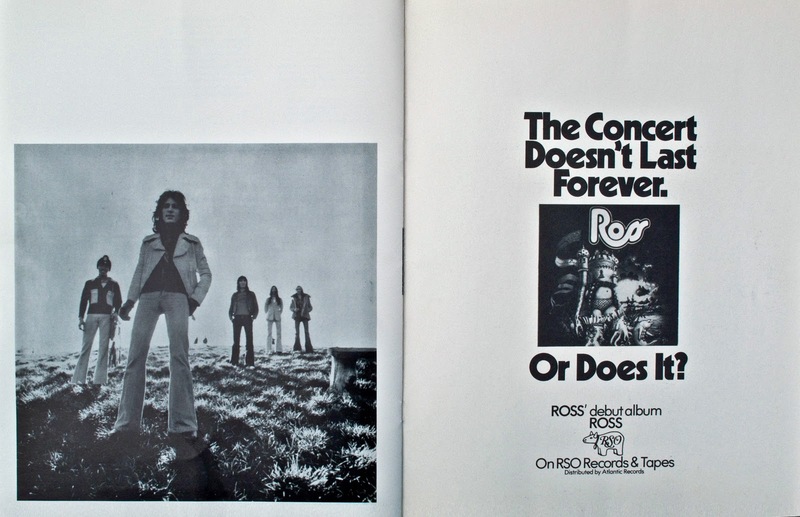 The tour is announced May 11, 1974. 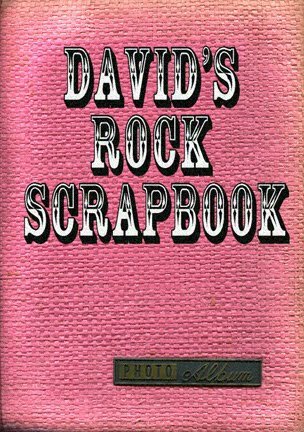 The rock papers cover the action. 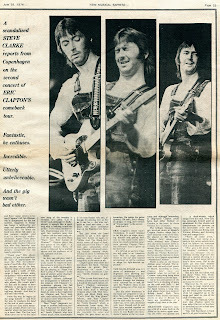 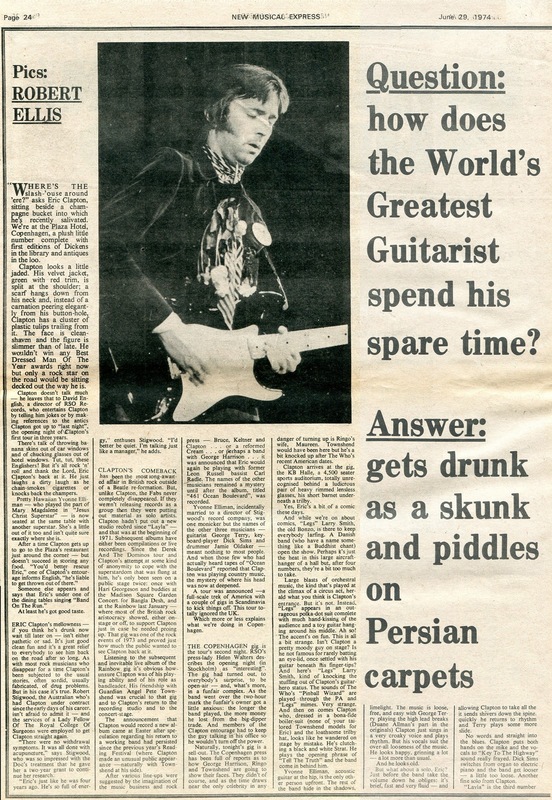 article reviewing a live performance. days before I saw him perform. 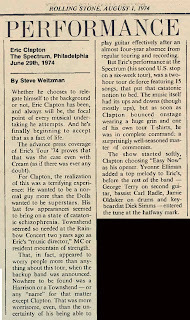 A review of the live show. 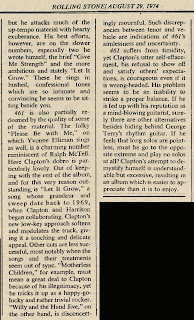 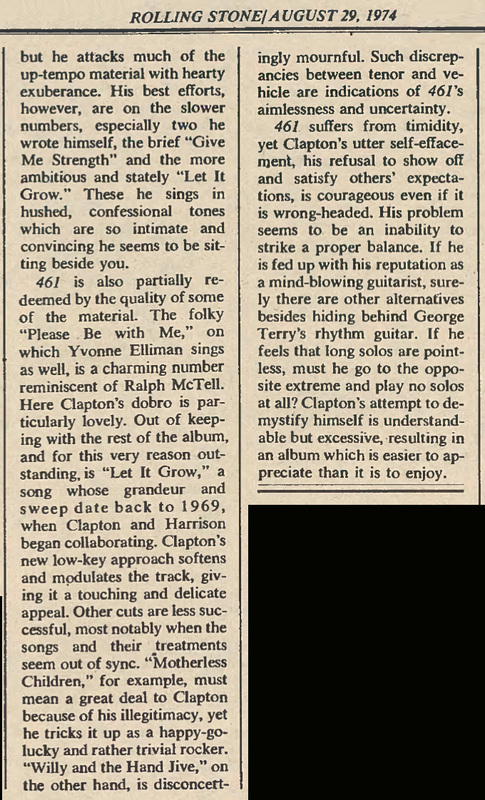 A US review of the album. 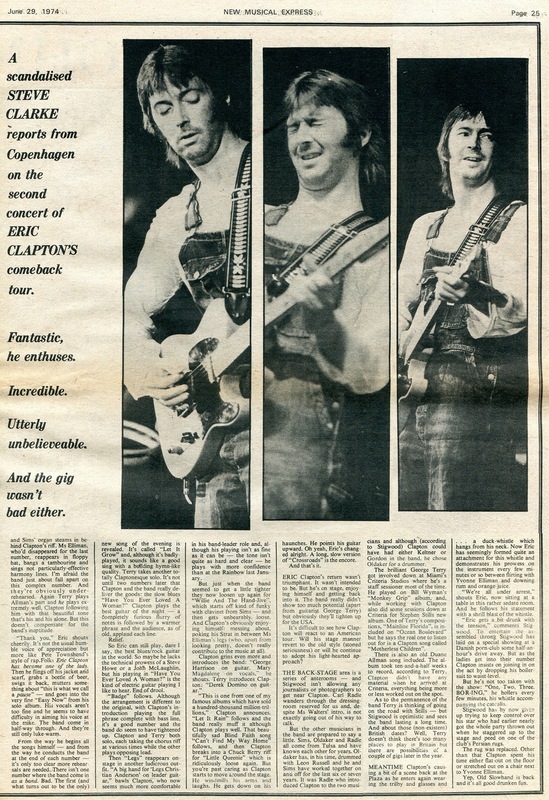 It received mixed reviews, again. 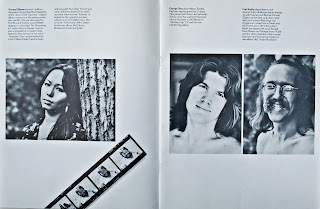 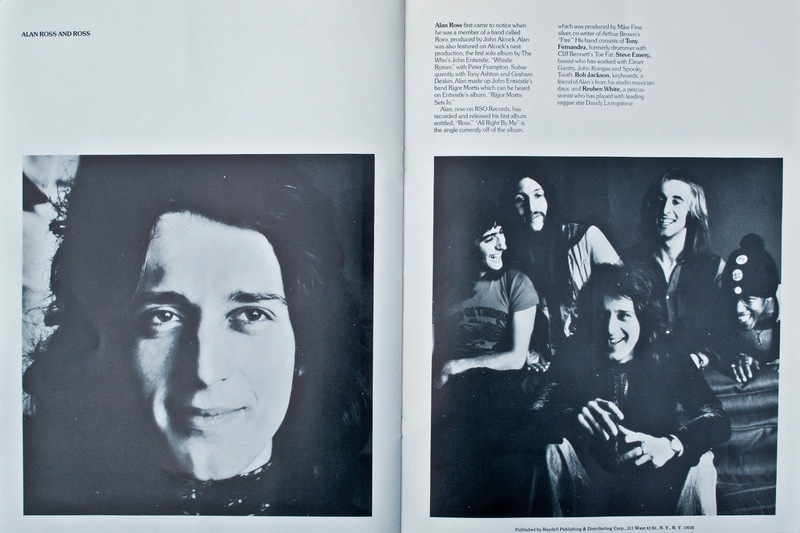 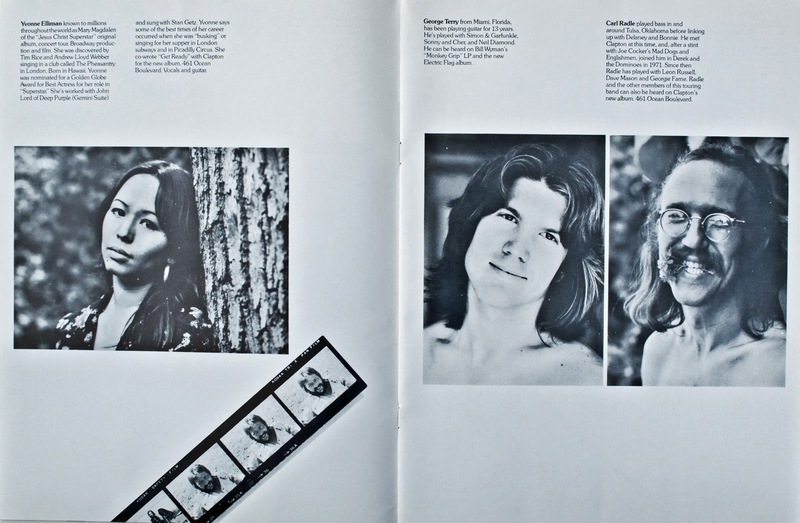 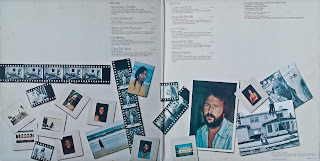 The album "461 Ocean Boulevard"
Magdalene on "Jesus Christ Superstar." 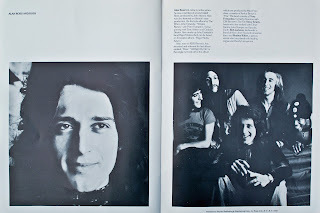 How To Love Him", from that rock opera. 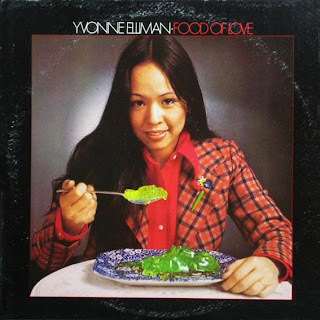 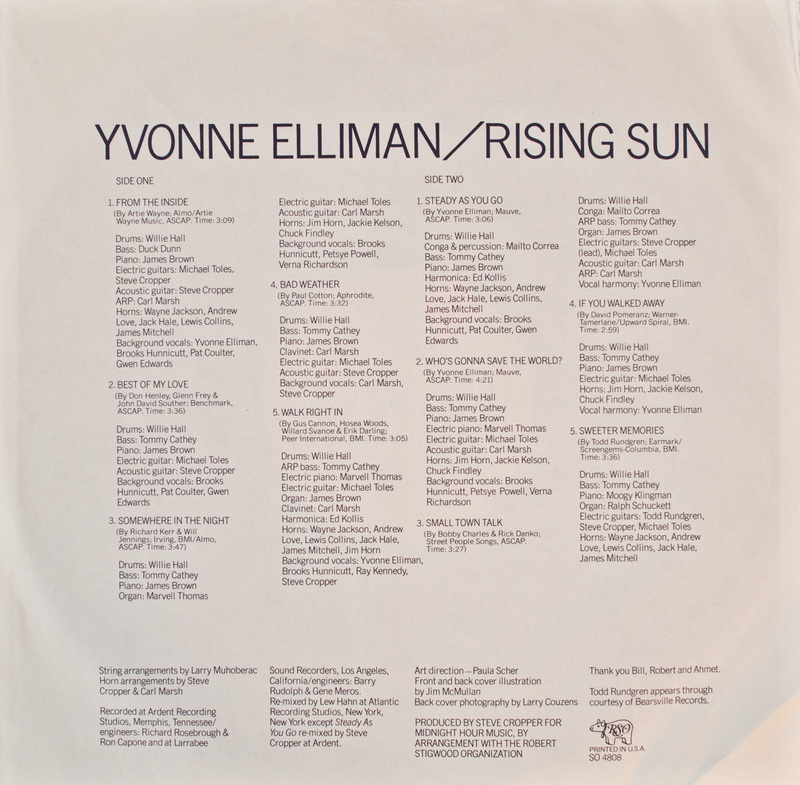 Yvonne Elliman's second solo album, 1973. Pete Townshend helped with it. 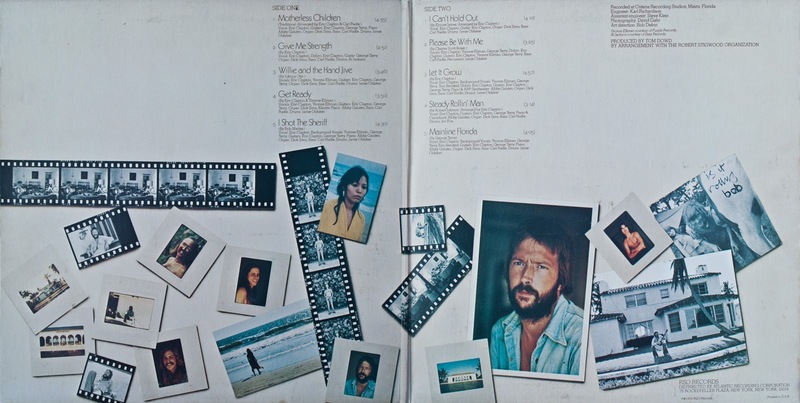 for her by the Bee Gees.